Lemire's Outsider's War has been an interesting ride but, now that we are at the end, my own feelings mirror those of Ollie Queen, who notes that he is sick to death of The Outsiders and wants nothing more to do with them. This is not to say that this has not been an enjoyable story. It has. 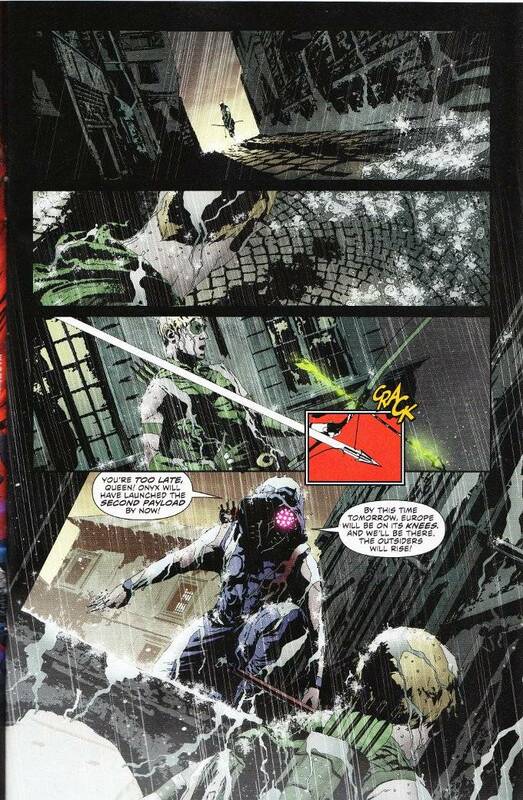 But mystic brotherhoods and elitist nobility have no place in Oliver Queen's life as a hero. And the choice that Ollie makes near the issue's end - while likely causing trouble further down the line - will ensure that The Outsiders stay out of his life for now. 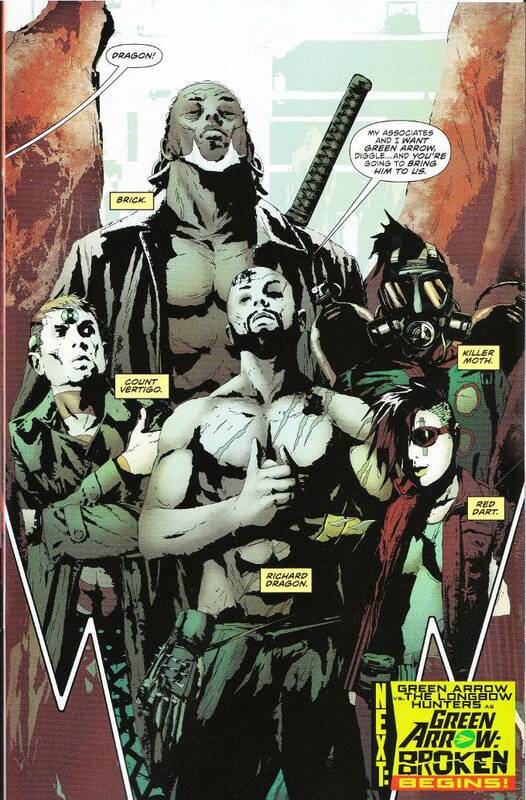 I may stand alone in this, but my favorite moment of Green Arrow #31 was the ending. It is here that we get our first glimpse of the story to come in the next few issues. It's also here that Jeff Lemire provides something that Green Arrow - as a character and as a title - has needed for a long time. A unified gallery of rogues. True, all of them are based on characters whom Green Arrow has fought at one time or another but given what Jeff Lemire was able to do with just the name of The Outsiders, I can't wait to see what he does with characters that have a somewhat firmer footing in the Green Arrow mythology. As per usual, Andreas Sorrentino's artwork is amazing. With clearly defined character designs that never leave the reader wondering who certain characters are and an amazing grasp of inking that finds the perfect balance between shading and highlighting, Sorrentino is one of the most underrated artists out there. Colorist Marcelo Maiolo also makes this book a beauty, as enjoyable to look at as it is to read.